A fantastic show weekend in Ogre, Latvia. Two days show and a weekend in Riga together with Sanna and Siri ended with a BOB for me and Vintra. 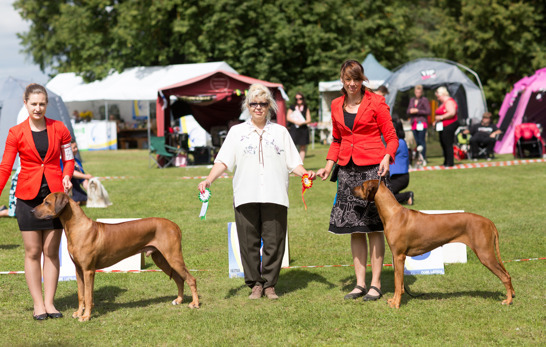 In the best of breed we were running together with the stunning male Amber Grand Star Qwandoya and Lina Groma. Big congratulations to both Irina, owner of Amber and Lina the super handler!